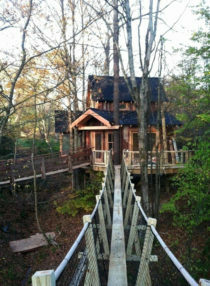 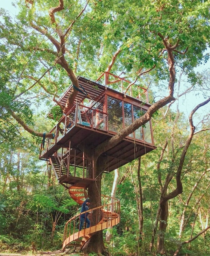 Usually treehouses are for kids, but a normal kid couldn’t have such a big treehouse! 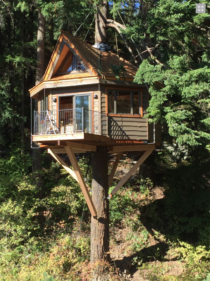 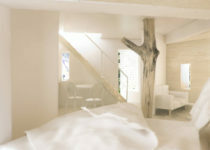 A treehouse incorporated into the tree. 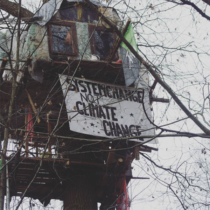 You have always to fight for your rights, but who is fighting for the forest’s rights? 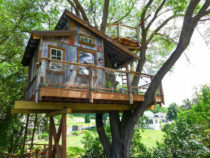 A treehouse ideal for a retreat at the Mississipi River in Trempealeau, Wisconsin at 20 ft from the ground signed by Pete Nelson and his crew!